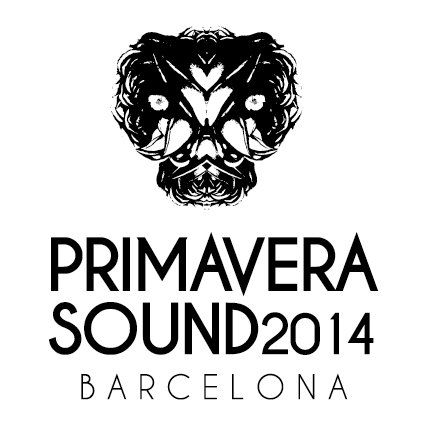 For our overseas readers, the time has come: Barcelona’s annual festival Primavera Sound has announced its lineup. 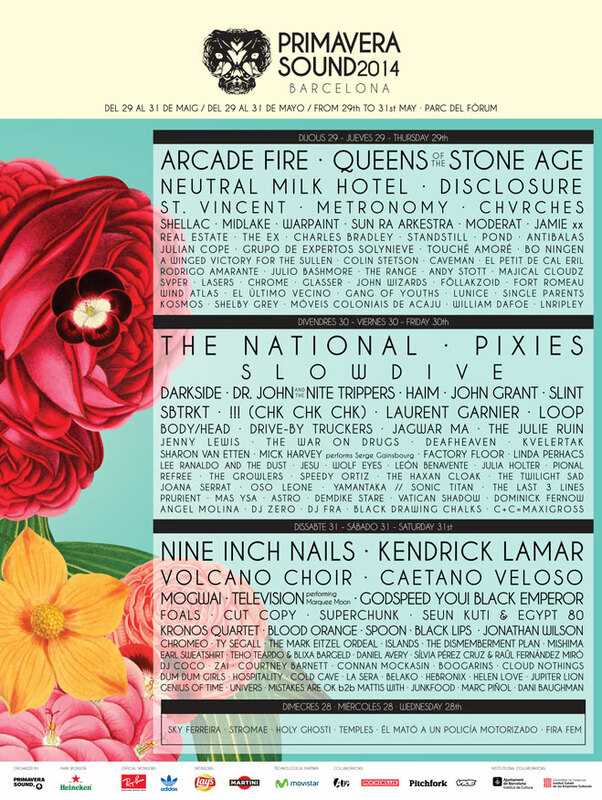 The three-day festival, taking place May 29 – 31 right by the beach (sigh), revealed its lineup in a short film. Once again, it’s a dream, with Neutral Milk Hotel, Pixies, and Arcade Fire headlining. Other bands performing include a reunited Slowdive, Nine Inch Nails, Queens of the Stone Age, Cut Copy, Kendrick Lamar, Volcano Choir, Slint, Foals, The National, CHVRCHES, Television, Warpaint, Godspeed You! Black Emperor, HAIM, St. Vincent, Disclosure, Darkside, !!! (CHK CHK CHK), Black Lips, Charles Bradley, Chromeo, Cloud Nothings, Deafheaven, The Dismemberment Plan, Earl Sweatshirt, Holy Ghost! Hospitality, Islands, Jagwar Ma, Jenny Lewis, Julia Holter, Lee Ranaldo and the Dust, Majical Cloudz, Metronomy, Mogwai, Pond, Real Estate, SBTRKT, Sharon Van Etten, Sky Ferreira, Speedy Ortiz, Spoon, Superchunk, Touche Amore, Ty Segall, Angel Olsen, Dum Dum Girls, and plenty more. Tickets are onsale now for 175 euros at their website.